President Barack Obama and First Lady Michelle Obama will observe a moment silence Saturday morning on the first anniversary of Sandy Hook Elementary School massacre. At 9:30 a.m., around the time the first of Adam Lanza’s 26 schoolhouse victims died, houses of worship around Connecticut will toll their bells, once for each victim, a request from Gov. 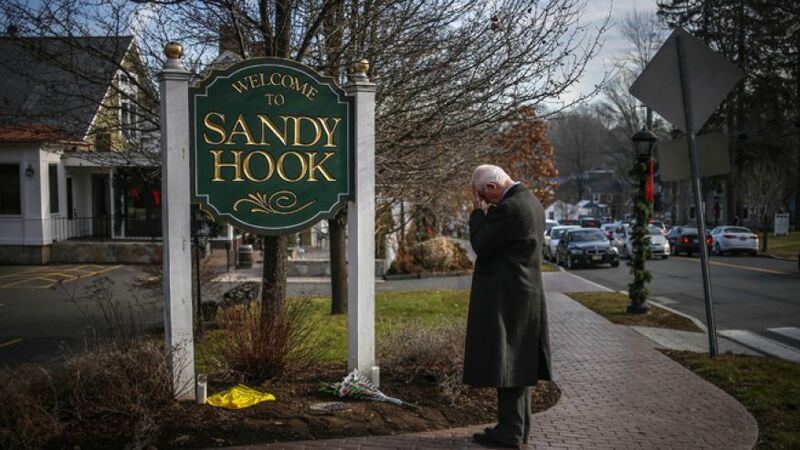 Dannel Malloy — repeating a similar gesture made a week after the shooting. Many of such efforts have been underway for quite a while. The Sandy Ground Project: Where Angels Play, which built 26 playgrounds in areas leveled by Hurricane Sandy, each named after one of the Sandy Hook victims. There is the Newtown Documentation Project, which sought to preserve the thousands of letter and handmade gifts that have poured into the town in the past year.